Of all the iPod accessory markets Apple has dipped into since launch over seven years ago, the company has ironically been the most conservative around personal audio. It wasn't until 2005 that Apple offered anything more than a replacement set for the (necessarily) cheap earbuds that have always come with the company's portable music players. 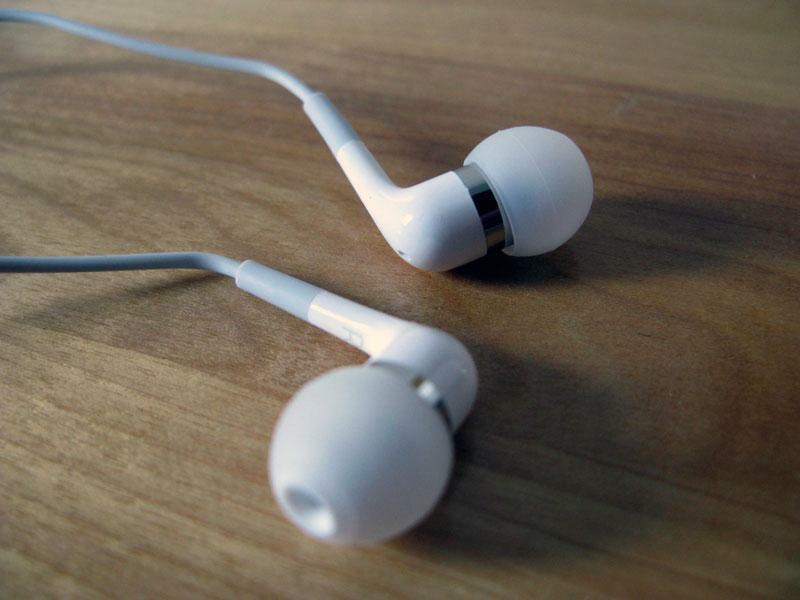 These buds, the first iPod In-Ear Headphones, have commonly been regarded as outright flops. They only cost $39, but it was painfully obvious that this was Apple's first attempt and that it was built to a price. The flush, almost conical shape was very difficult to keep in one's ear even in ideal conditions, and most of the improvement in audio quality simply came from moving the sound deeper into your ear opening. As such, there was almost no incentive to buy Apple's own take on higher-end earbuds; unless you just had to have the lanyard set for the early iPod nano, you were better-off buying something in a similar price range or slightly higher that fit better and had more than just a passive audio enhancement. And of course, in the era of iPhone and iPod touch, the absence of either a microphone or a remote was virtually a deal breaker. The new earbuds are, in a sense, an admission by Apple that the original design didn't work: the new design has a right-angled shape that fits much more directly. To say it's an improvement in stability would be an understatement. The new buds can be inserted deeply enough into the ear passage that there's little if any room for them to slip out, although they do require a degree of "massaging" (really, wiggling) to get a perfect fit. Running with the In-Ear set didn't jostle it out of place or create any real doubts. 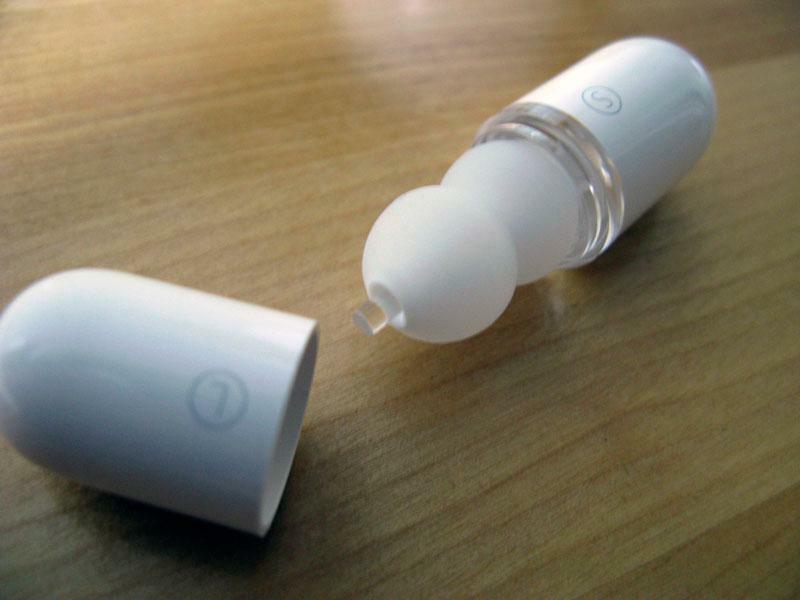 The silicone ear tips have also changed somewhat, though not by much: they're now a set of clear, very thin covers instead of the earlier solid gray models. They look nicer, but they're importantly very soft and comfortable on the ears. We've used a set of Shure E2Cs in the past that were certainly comfortable most of the time but were bulky enough to potentially cause discomfort over a long stretch of listening. We wore Apple's earbuds for hours and not once felt any pain or signs they'd been in place for too long. It's also noteworthy that listeners aren't forced to wear the earphones a particular way: they remained snug both inserted directly and hooked over the ears, although the cords were more likely to come loose than on earbuds intended to be worn this way, as with the Shures. Like most earphone makers, Apple includes both small and large eartips in the box, and given the comfort of the mediums should easily accommodate unusual ear sizes. For some reason, however, Apple has chosen to package them in a "pill" that opens at either end rather than simply stuffing them in a bag. It's a nice touch, but it's utterly excessive: most iPhone and iPod owners don't share their earbuds with others that also happen to have different ear sizes and don't really need an elaborate container as a result.